Cats can experience health problems just like people do. If your cat starts losing hair and weight, you'll want to find the underlying causes. There are various reasons why your cat may be having problems. It is a good idea to familiarize yourself with these causes for hair and weight loss, so you can help resolve the cat's problem. Cats can experience health problems that cause hair and weight loss. A cat may eat more but lose weight with hyperthyroidism. Hyperthyroidism is a condition of the endocrine system that produces excessive amounts of thyroxine and trioidothyronine. This is usually caused by the presence of a noncancerous tumor in the cat's thyroid gland. This problem usually arises in cats 13 years of age and older. Hyperthyroidism increases the metabolism. The cat may eat more but loses weight at the same time. Many hyperthyroid cats also experience patchy sections of hair loss. Medication and diet change can help relieve the symptoms of this condition. X-rays and other diagnostic tests can be conducted to help diagnose cancer. Cancer and heart disease can cause weight loss and possibly hair loss in cats. Cancer is a disease that transforms healthy cells into abnormal ones. Cats can experience many symptoms, such as loss of appetite, possible hair loss, vomiting and diarrhea. Diagnostic tests can be conducted, and treatments and medications are available. Heart disease can cause weight loss, coughing and shortness of breath, among other symptoms in cats. X-rays and other diagnostic tests can be conducted to help diagnose this illness. Prescription drugs and other therapies can treat heart disease in cats. Hair and weight loss also can be an indication of a food allergy. If a cat is deprived of important nutrients such as vitamin C, it can suffer weight and hair loss. It is important to make sure your cat is consuming a well-balanced diet. Consult a licensed veterinarian if you are unsure. Hair and weight loss also can be an indication of a food allergy. If you suspect your cat is allergic to something in its diet, you should consult a veterinarian. Fleas can cause itching and biting which will cause hair loss. Fleas or mites on your cat is can cause excessive itching and biting. Your cat may experience hair loss in these areas. 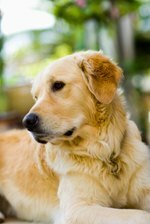 Flea and mite treatments are available, and your veterinarian can direct you to the best one for your pet. A skin condition such as dermatitis can cause a rash as well as excessive itching and hair loss. This may be an indication of an allergy. Topical ointments can be prescribed by a veterinarian to relieve the problem.